It takes a sharp eye to keep track of Greninja-GX, but fortunately there's an amazing Pokémon detective in town! Celebrate the POKÉMON Detective Pikachumovie with the Detective Pikachu Greninja-GX Case File, which includes a foil promo card and an oversize card featuring Greninja-GX—both of them prized elements of any Pokémon TCG collection. You'll also get a cool Greninja pin, and you can tear into five Pokémon TCG: Detective Pikachu booster packs. 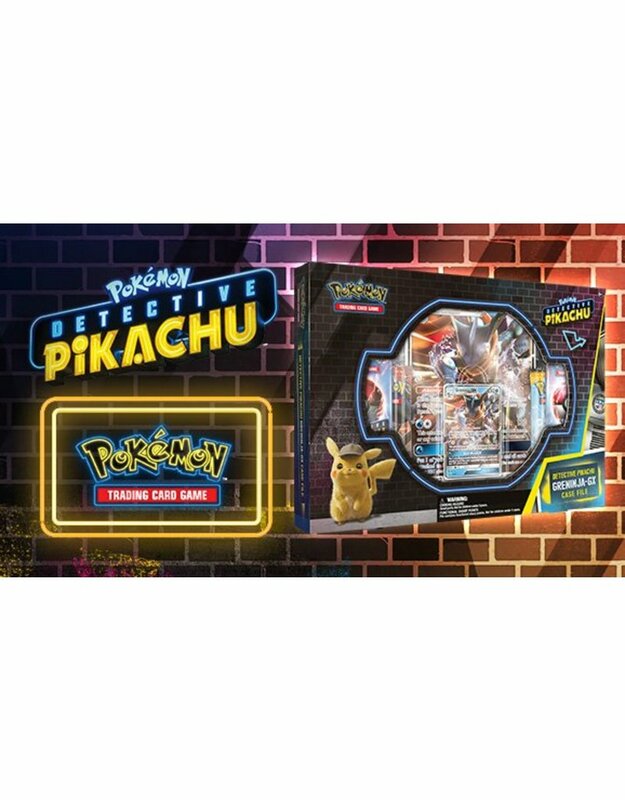 The collection even includes two additional Pokémon TCG booster packs to expand to your collection, so you can uncover a few more Pokémon that might have been lurking in the shadows!